We get to spend a lot of time with our patients as physical therapists. As a result, they value and trust our opinion when it comes to things like choosing an orthopedic surgeon. Certainly, they’ll talk to friends and family, but inevitably, they ask us who are the best choices for a particular procedure. It’s not so easy though. There are often many skilled surgeons who get great outcomes, but have terrible bedside manner. There are also some very good surgeons who have one disgruntled patient that tells their story to anyone that will listen, but confounding factors may have led to an unsuccessful outcome in an otherwise highly successful surgeon. Additionally, patients struggle with the choice of going to the grey-haired, “seasoned veteran” or the much younger surgeon. Does the “old guy” know the latest techniques? Has the “rookie” done enough of the procedure to trust their hands? In sum, it’s not easy to choose. In no particular order, here are some things to consider when choosing an orthopedic surgeon. Talk to people whom you trust, people who have had the same procedure, your primary care physician, or check reviews online. Hearing a positive story will certainly increase confidence in an orthopedic surgeon. There is nothing more unsettling than the unknown. We suggest finding people whose post-operative goals are aligned with yours though. For example, if you have a rotator cuff tear and you are an avid tennis player in your 30’s, you might not talk to the person who had a rotator cuff repair in their 50’s but is sedentary. Their definition of a good outcome and yours look very different. It will also help to find out how follow-up appointments were. Do they spend time with people, or are they “in and out?” Do they fix you and then you never see them again? Find out about the surgeon’s bedside manner too. There can be quite the pendulum swing with bedside manner. In the end, you have to decide how important that is. If you talk to your primary care physician, keep in mind that if they’re affiliated with a large hospital system, they’re likely going to try and keep you “in house.” The “in house” surgeons may be fine…but they may not be, and better choices might be out there. Consider if the surgeon suggests conservative treatment first. No question, orthopedic surgeons are paid to fix things. That’s OK, that’s what they are highly trained to do. However, there may be a conservative option, like physical therapy or even activity modification, to avoid surgery. Even if you have pathology confirmed with diagnostic imaging (X-ray, MRI, etc), it doesn’t necessarily you need to have surgery. Proceed with caution with surgeons who are anxious/push you to operate right away. Find out the volume of the procedure they have done. There have been some articles here and here that have showed better outcomes in high volume surgeons. Another recent article in U.S News and World Report talked about risks being higher in low-volume institutions. 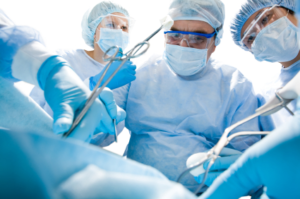 Many surgeons do many different surgeries. You may have one that does a rotator cuff, an ACL, a total knee replacement, and an ankle surgery in the same day. That’s fine, don’t get us wrong. Hopefully, it makes sense though that if a surgeon specializes in a particular procedure, they’ll be more technically sound at it. There are surgeons who only do total hips/total knees or just knee and shoulder soft tissue work. It’s fair game to ask how many they’ve done. You may dig a little deeper and find out on your own where they were trained. Is the person they trained with considered an authoritative person? No question, this takes a little homework on your part, but it may be worth it. Consider surgeons who have done a fellowship in sports medicine, particularly one with an emphasis in your desired procedure. First, let’s talk education. Physicians do residencies in medical school. That is how they “cut their teeth.” However, many that choose to specialize go on for a fellowship where they can focus on a particular area. These fellowships can be a number of years for cardiology or neurosurgery, but for orthopedics, they are typically one year. Often, fellows learn from other surgeons that are highly specialized in their area of expertise. You should be able to find out online if your surgeon did a sports medicine fellowship or a joint replacement fellowship for example. There are fellowships for the hip, knee/shoulder, ankle/foot, and even “upper extremity” ones to name a few. You will definitely want to go to a hand specialist to have your hand fixed, not necessarily a general orthopedic surgeon. This goes back to the volume issue – the more they do of a procedure, the more technically sound they’ll be at it and for the most part, you should expect better outcomes. Put another way – would you want to see an auto mechanic that does every model of car, or one that specializes in a few models? Also, try not to be too impressed either by the “official provider of such-and-such team.” This happens all over the country. Many orthopedic groups, while they may be good surgeons, have become the official providers because they paid for them, not because they really are the “best.” We’re just saying don’t choose them only because of that. Something to think about. Find out about the post-operative plan. Do they have a protocol in place? Do they have a physical therapist they trust? While it sounds self-serving for PT’s to say that, this is important. There are a number of surgeons who once they finish your operation, they’re done with you. They don’t give much guidance on post-operative instructions. As a result, you’re left with more questions than answers. Some surgeons are very apathetic about where their patients go for physical therapy and just have an assistant “give you a list” to pick a place. Think about that for a minute. Think of any service or product you buy – you want the best right? If you ask about the best auto mechanic, do you want a laundry list of places? Heck no. You want the top 2-3 to choose from. 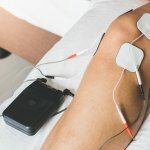 Why is physical therapy any different? There are many choices for physical therapy and no two clinics are alike. 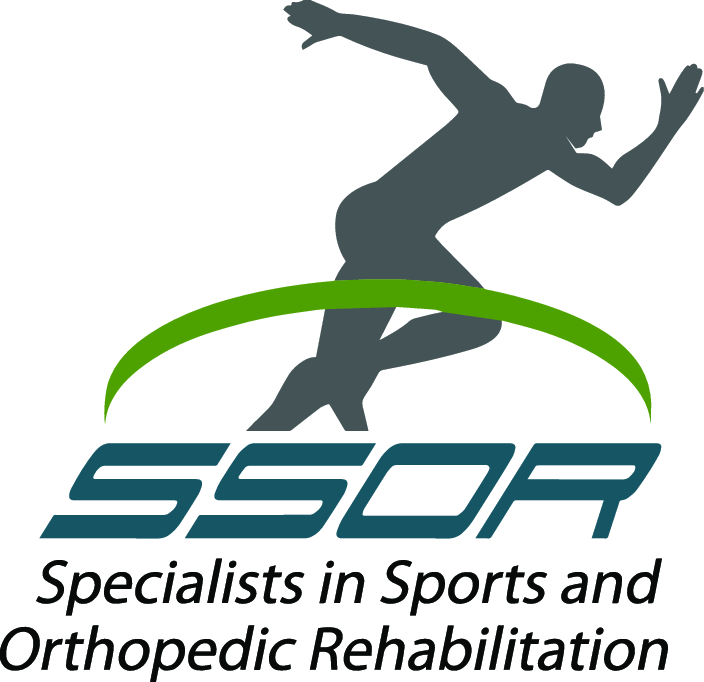 Any good orthopedic surgeon has a good relationship with physical therapists and many will even say that physical therapy can make or break their outcomes. Make sure your surgeon has people they trust who know their post-operative plan. It’s a team approach in orthopedics/sports medicine and you should choose a surgeon that sees it as important. While the above suggestions are good things to consider, you ultimately need to trust your gut when you meet with an orthopedic surgeon. They should listen to you, answer your questions, understand your goals, calm any fears, and make you feel important. They should talk to you about your options – can your procedure be done arthroscopically, for example. They should talk to you about risks and benefits of the procedure. Understand though that many surgeons are very good surgeons but don’t have the best bedside manner. Amazingly, we find patients complain more about that even if they have an outstanding outcome! Just remember that you’re not having a drink with them – they are there to fix you and if this is the best person for the job, “you take the good with the bad.” Bonus though if they’re technically savvy AND have a warm, engaging bedside manner. Hope this helped give you some things to consider. If you need physical therapy, it would be a privilege to serve you and partner with you in your care. We have locations in Overland Park and Prairie Village to serve you.